Most people have a love hate relationship with technology. We need our laptops, phones, desktop computers, routers, printers and other devices to help us work and keep us connected. And while it would be nice if they could live forever without so much as a hiccup, breakages can and do happen. 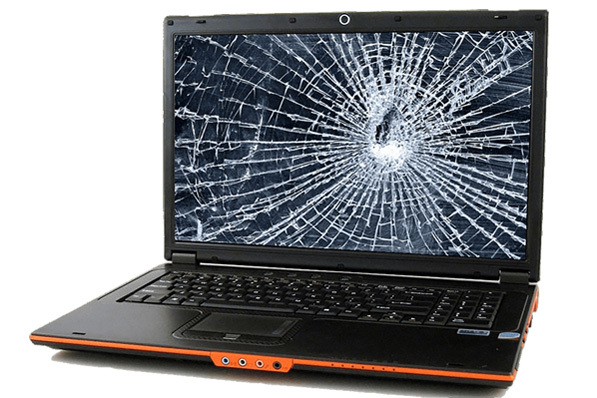 At Empreus IT, we’re often asked what to do when a device breaks, and how to make the best decision about repair versus replacement. If the cost of repair is 50% or more of the value of the device, replace it. Of course, the only way to know how much it will cost to repair is to get the problem diagnosed. Even if you dropped it from a third floor balcony or ran over it with your Jeep, we still need to know which parts are broken in order to estimate the repair cost. Diagnosis is the first and most important step in making an informed decision. A cracked screen may only cost a few hundred dollars to replace. If a single internal component is broken, it depends on how easy it is to obtain and how difficult it is to get to – but it’s usually achievable at a reasonable price. However, if multiple components are broken, it’s unlikely that repair is going to be the best option. Perhaps your partner gave you your laptop for Christmas, or you bought it 10 years ago and have formed a special bond. Whatever the case, if your device has sentimental value, you may be happy to spend what is required to have it repaired. If a diagnosis confirms that there is a problem with the hardware, and it’s still under warranty, it’s worth contacting the supplier for help. You can do this by visiting the store you bought it from, or contacting the supplier directly. They will have their own process for repairs/replacements, but this means the cost is theirs to wear. Have you backed up your data lately? Do you know all of your passwords? One of the biggest concerns people have when their device breaks is whether the data can be recovered. At Empreus IT, we regularly perform data recovery for customers to ensure it’s still there after repair, or is imported to a replacement device. Keep in mind that this does add to the cost of both though, as data recovery can be a tricky and time consuming process. While we’re on the topic, it’s important to mention that if you are going to opt for a replacement, we recommend you don’t go for something cheap and nasty. Although technology appears to decrease in cost every year, manufacturers often reduce the functionality of cheaper devices to save money. This means that the storage space, speed and quality of parts may be sacrificed to achieve a lower price point. Whatever you spent last time, spend about 30% more. This will ensure you get something more powerful, with better functionality and a stronger chance that it will stand the test of time. For more information on hardware repairs and replacements, including diagnosing the problem or performing data recovery, please call Empreus IT Support on (02) 6189 1322 or contact us now.